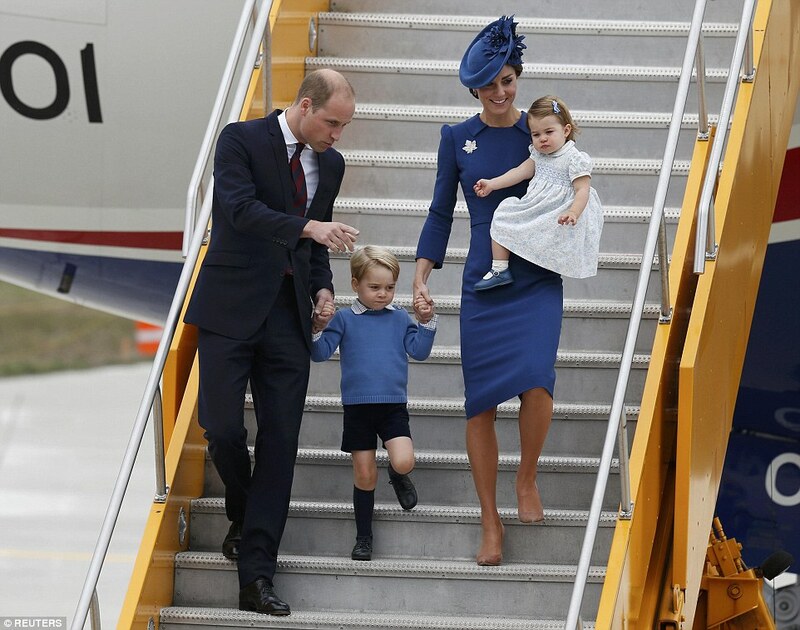 Today, September 24th, is the first day of the highly anticipated royal tour of Canada. 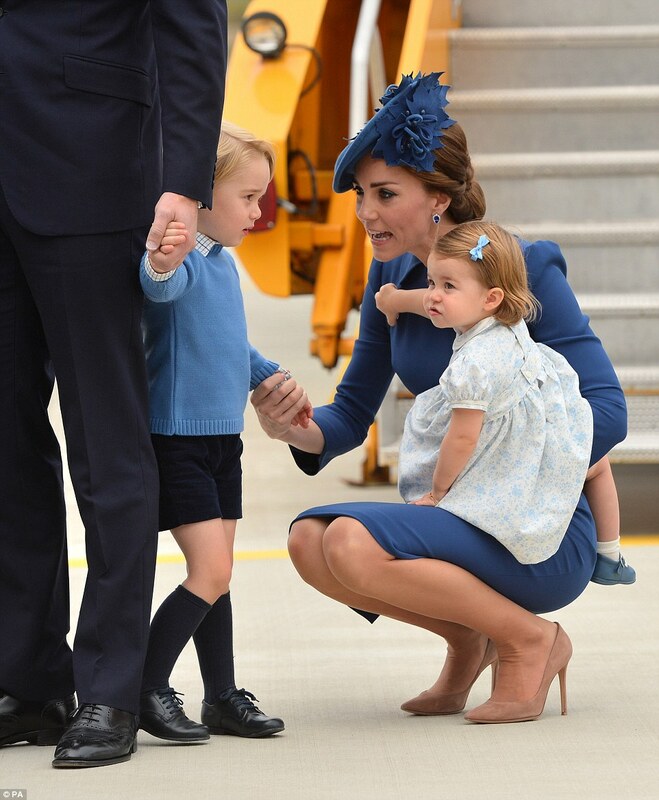 The Duke and Duchess of Cambridge have arrived in Victoria, British Colombia with their children Prince George, 3 and Princess Charlotte, 1. This is Princess Charlotte’s first royal tour and the first time she has been seen since her parents released pictures of her to mark her first birthday. This is going to be a busy week for the Cambridges (and for bloggers covering the tour 🙂 ). The family decided to color coordinate in royal blue. Kate was wearing a Jenny Packham dress with the Queen’s maple leaf brooch as an accessory. She also borrowed the brooch for her first tour of Canada with William shortly after their wedding. Kate wore a matching Lock and Co hat. (Thanks to Richard Palmer Twitter page for the ID of Kate’s outfit.) I believe I recognize Kate’s earrings as sapphire and diamonds from Kiki McDonough. 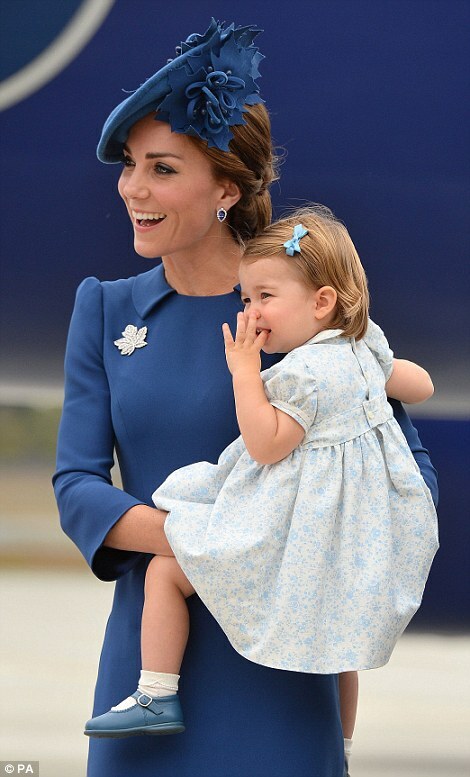 Little Charlotte was also wearing blue. I have not positively ID-ed her dress yet but it looks like Rachel Riley to me. 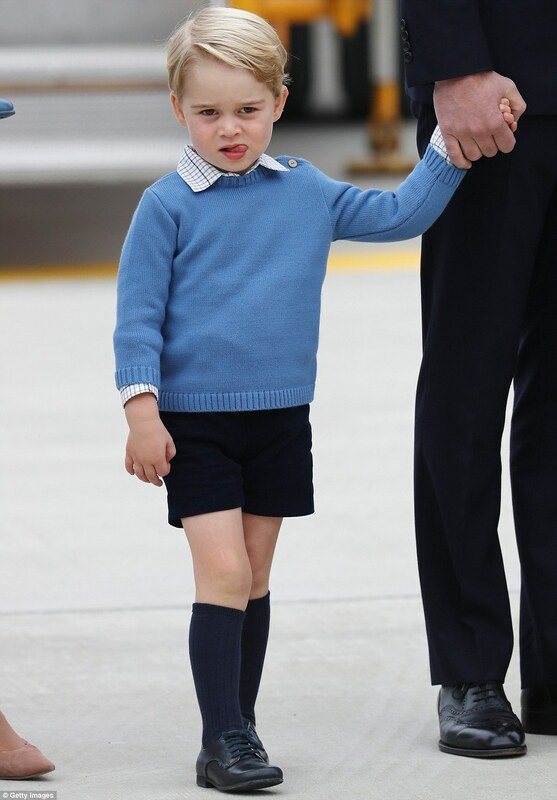 Even George was wearing a blue sweater (or ‘jumper’ as they say in England). Here is a picture of Kate from her first tour of Canada where you can see her wearing the maple leaf brooch. And here is a picture of the Queen wearing the same brooch. I will continue to update as the tour moves along. Please keep checking back for more pictures and info!